I made a 'resume' to send to publishing houses! I thought a bookmark seemed very fitting! Last year I took a printmaking class and made an edition of bookmarks (Lino cut), they are the inspiration of this new bookmark. I couldn't find them anywhere BUT I did find the sketches in an old folder. Theses (lino cut) bookmarks had some elements that I wanted to use in my 'resume'! 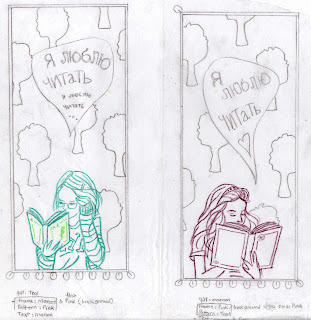 Those are the sketches for the lino cut bookmarks. I was studying Russian at the time and when I am into something, it usually winds up in my drawings. I think it says: I love reading! 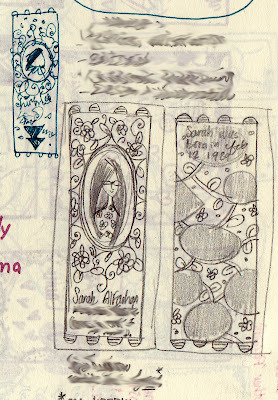 Those are my thumbnails for the bookmark 'resume'. 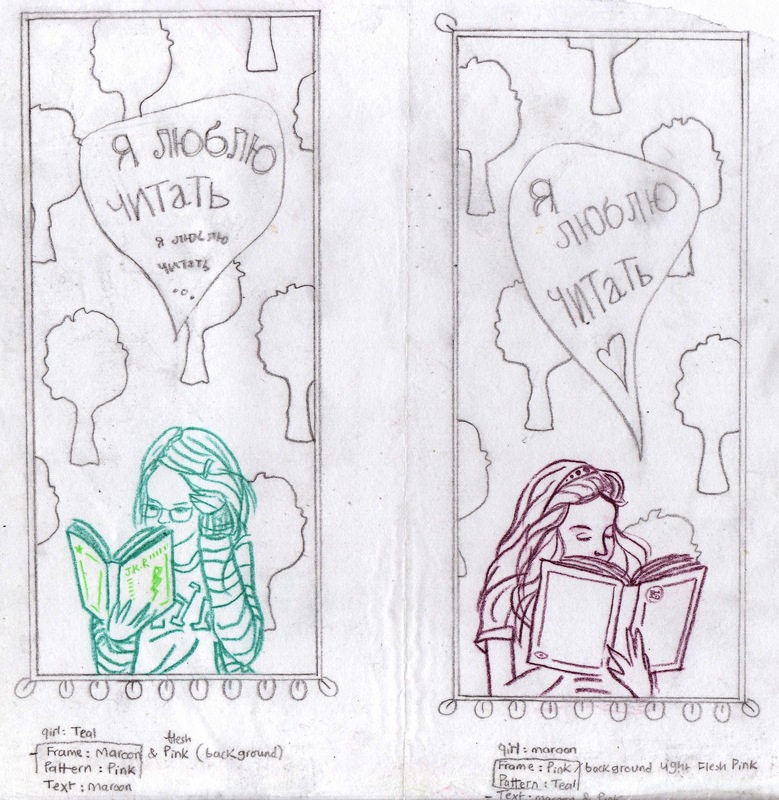 And below are the front + back side of the bookmark. 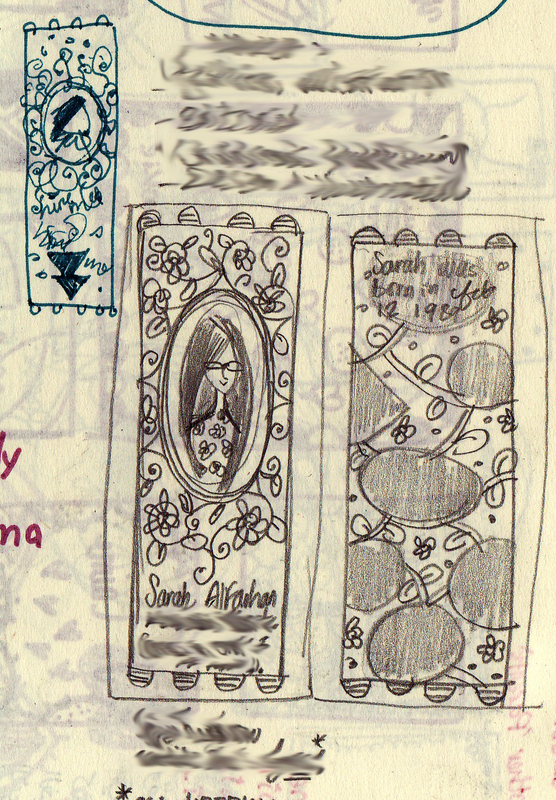 I might still play around with the decorative elements + color! Thank you Traci, I wasn't really sure where I was going with this. My favorite (written) part is "4.875 Ft only!" I love the floral decorations on the front and the organization of type on the back is nice. The is a great idea! Kristin: LOL! I am happy with the results of this but I feel like I should revisit it & make it look better.